This July in the Green Mountains of Vermont, a very special documentary is being filmed. 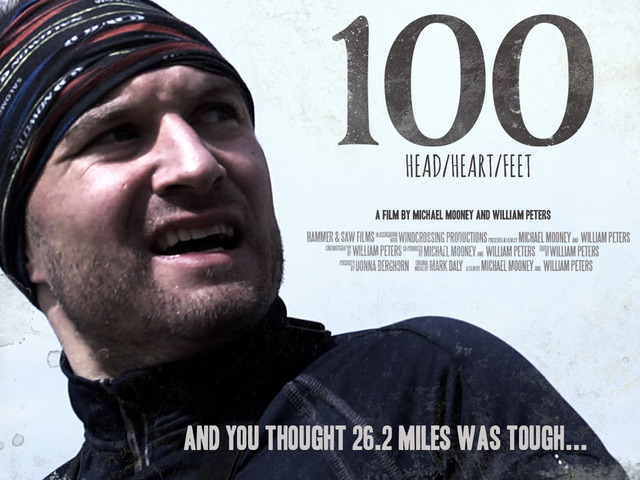 100: Head/Heart/Feet chronicles the drama of Zac Wieluns, an ultra-runner from Maine and a member of The Trail Monsters running club. Zac has failed to finish Vermont in his previous two attempts, and is hoping the third time’s the charm. 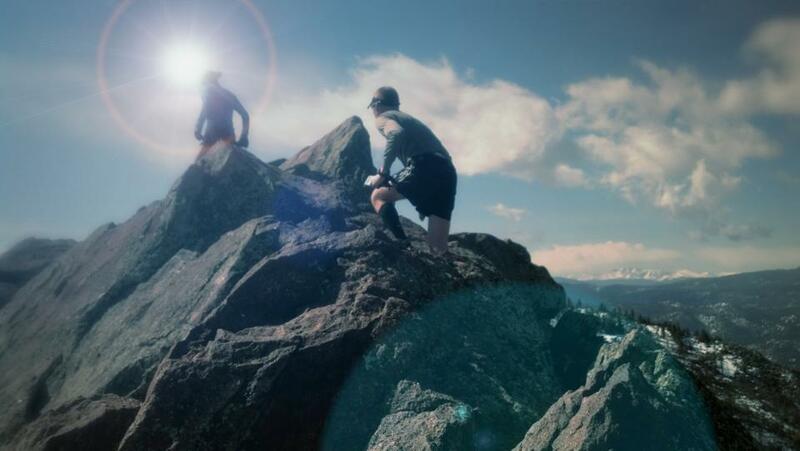 The film is being produced by Hammer and Saw Films of Colchester, VT. Michael Mooney is Co-Director and Producer of the film, along with Associate Producer and Ultra-Runner Ben Watts. I have the high privilege of interviewing these two about the film and ways in which our running community can help them out. Sherpa John (SJ): Gentlemen, thanks again for taking the time to conduct this interview. Myself and countless others are incredibly excited about another Ultra-Running film being put out there, but most importantly about the, now 25 year old, Vermont 100. Michael Mooney (MM): SJ, it’s our pleasure. We couldn’t be more excited to capture this amazing race and being the 25th anniversary makes it that much more special! Ben Watts (BW): Happy to be here, SJ. And thanks for baking these muffins; you’re an exceptional host. Is that nutmeg? SJ: It’s actually paprika, you’ll figure it out in a few minutes. Now let me start by asking.. why a running movie? Are you guys’ runners yourselves? 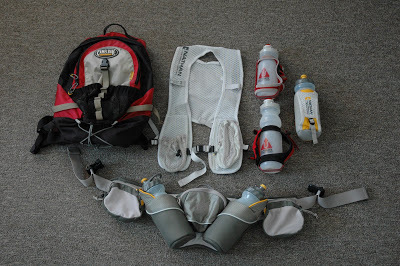 Ultra Runners? What has you itching to produce this film and tell this story? And.. I ask because, there are a handful of Ultra-films out there all ready.. what is going to set your film apart and make it unique? MM: Two years ago, I had the privilege to be a handler/sherpa for Zak Wieluns at his first attempt at the Vermont 100. I have been an athlete in one shape or another my entire life and this race was the most spectacular act of athleticism and courage I have, or had, ever seen. As a filmmaker, I knew right then that there was a story. Now, after two attempts at the Vermont 100 and two DNF’s, I asked myself, why would Zak keep on going back? It was for that exact reason I knew I had to capture this race. I have done my research as well and, unlike other ultra-films, 100 Head/Heart/Feet concentrates on a regular guy who, like 95% of the ultra-runners out there, has a job, family, and bills to pay. It is certainly not an easy task considering the hours training, the injuries endured and overcome as well as the pure guts it takes to toe the line. To say the least, we are in awe and totally inspired! SJ: There are many of us out there that can appreciate your perspective Mike. Ben, your crew has been following Zac through the winter, filming his training, races he’s run in to prepare.. what kind of effort does it take a film crew to capture the true tale of Zac’s journey? BW: As independent filmmakers, it takes a lot of effort to make a film come together considering the limited budget that we’re working with. Like Zak, we’ve all got other jobs and families, so we’re using most of our spare time to see this film to fruition. I like to think that, given our experience with short film-making over the past three years, we’ve run this figurative race before and have a better idea of challenges to expect and shortcuts we know we can take. The challenge that we face this time versus our other projects is not having a script as we go into this. We have an outline that we know we want to follow, but the story of the film can change day to day given Zak’s health or maybe some unpredictable weather. And given that the Vermont 100, the main focus of the film, has yet to be run, there’s no telling at this point where the story might go. 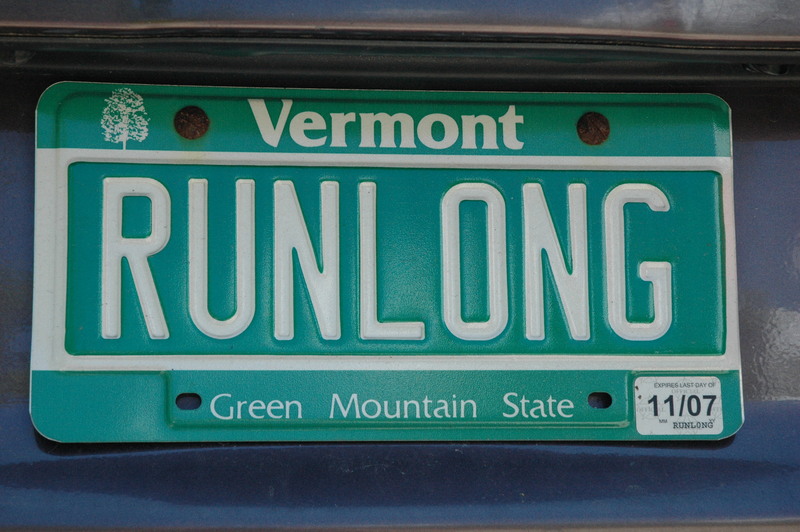 SJ: It’s the 25th Anniversary of the Vermont 100, one of our nations oldest 100-Mile races, how did the importance of this celebration factor in to your plans to film this year? Or did it just happen to work itself out that way? SJ: How easy or hard do you think it will be to convey the message of your film about Zac, and how his struggles and triumphs as an ultra-runner, are not much different from those he’s out there running with? BW: I think that the message of this film is what is going to make it much more appealing to a broader audience. This isn’t a film that might only be appreciated by the technical runners, it’s a story of an average athlete who just decided one day to go for it, and wasn’t going to let anything get in his way. This isn’t a professionally trained, sponsored athlete with coaches and nutritionists. He’s a humble Mainer with a remarkable support system of friends and family, and the sheer will to get out there and do it. 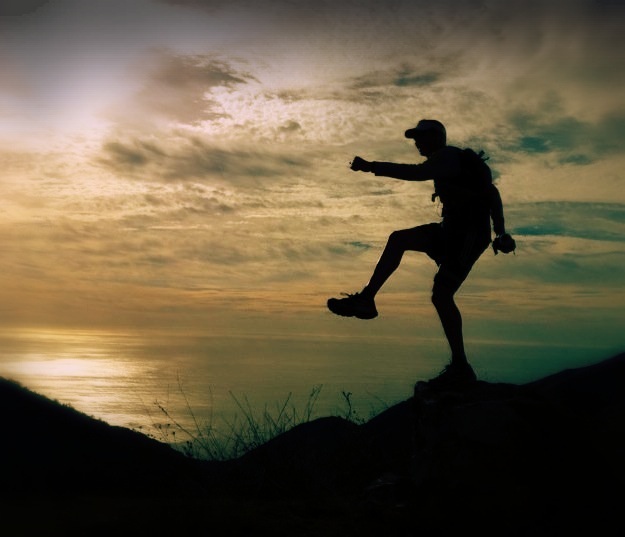 We hope to inspire the audience to succeed in reaching their own goals, whether it’s running a 5K or hiking the Appalachian Trail. SJ: What kind of hurdles does your team need to overcome, or challenges are you faced with, on race weekend in order to make this movie come together and happen? MM: The key for Hammer & Saw Films is to treat this event as a race as well, we will be following Zak from Friday to Sunday and we will be capturing hundreds of hours of footage. Like any race you need to prepare for heat, rain, bugs, pretty much any kind of conditions you could possibly think of and maintain composure all while having no effect on the race or the participants. So basically, we just need to be movie making ninjas. But, with the large crew that we have, we should be able to accomplish this more easily than running the race itself. SJ: Ultra-running is quickly becoming more mainstream and acceptable compared to how it was perceived a half decade ago. How do you think your film will continue to foster the growth of the sport? What kind of message do you hope the film will convey to those intrigued by the sport and are looking to join in the craziness? BW: There is one thing that is so underlying in this sport that we see everywhere we go with Zak: community. It’s really what sets it apart from many others. I think that people will see that in the film and feel more welcome to sign up for a race. Personally, I think it’s easy to feel isolated at a 1000+ person half marathon, as strange as that sounds. Everyone seems to be solely focused on PRs and cash prizes. At the races we’ve been to, the groups (however smaller) are encouraging and supportive. Faster runners will always hang back with someone if they appear to be struggling. And there is just as much cheering at the finish line for the first place finisher as there is for the last. People bring food to share, and top runners seem more excited to rib their teammates than to hold a trophy over their heads, knowing that the tables can easily be turned next time. SJ: Many think what ultra-runners do is crazy, how can you folks produce a film that celebrates the sheer spirit and determination of the athletes, without making them seem like social outcasts. In other words, we’re not crazy.. how do you avoid painting us in that light and really focusing on the time, dedication and drive we all possess? BW: I think that the spirit and determination of the ultra-running community is going to shine through in this film, and that’s not a hard thing to convey. 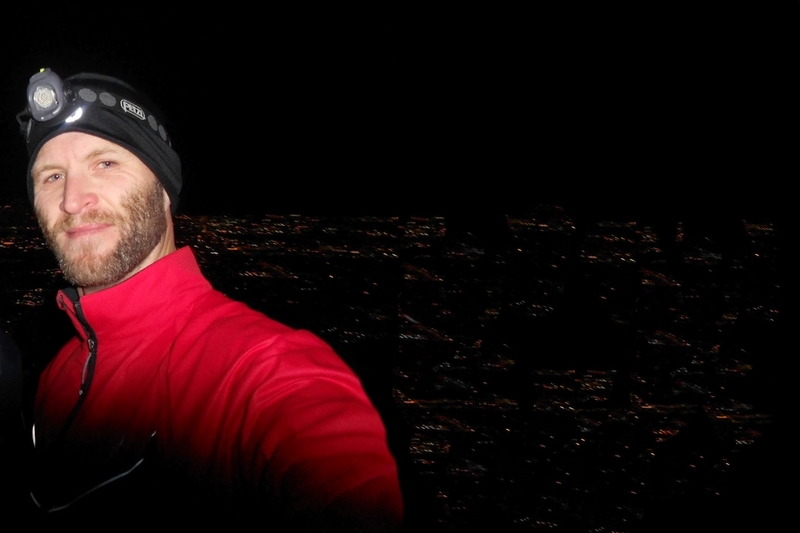 This is essentially a story about Zak, but we are also interviewing several other members of the community who have no ties to Zak about their experiences in the sport. Additionally, at the Vermont 100, we’ll see first hand how much dedication these athletes put into the sport, whether they are actual competitors or pacers/crew. 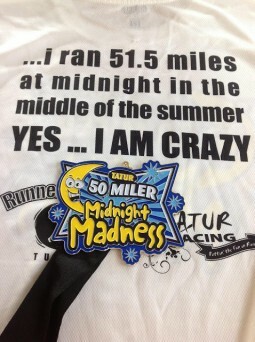 I do also like to correct people when they see the trailer and say “that guy’s crazy!” I point out that he could barely finish 5Ks when he picked up running not too long ago, so if he can do it, why can’t you? SJ: This is Hammer and Saw’s first feature length film, but everyone on your team has ample film experience. What are your plans with the film when it’s done? Film showings? DVDs? A premiere? MM: We have submitted all of our films to festivals in the past and this very moment, that is what we are looking to do once we complete this project. The hope is to share this inspirational story with as many people as possible. We also have a great deal of local interest to screen our films at independent theaters and colleges, so we will probably couple the festival circuit with a college and independent theater tour. My number one concern right now is making the best film that we can and we will go from there. SJ: You folks are about $8,000 in to a $16,500 fundraising drive on Kickstarter. Your fundraiser ends on July 20th, race day. How can folks best help you guys achieve your mission in producing this film? MM: I have been amazed at the amount of support we have received to date and couldn’t be more pleased with our fund raising efforts. We have been promoting the kickstarter, but what has amazed me the most is the reaction and support we have received since we have started. I believe we will hit our goal and I believe the key has been the virality of the story and folks sharing are going to get us there. Every single dollar counts too, even if it is just a dollar. SJ: The Vermont 100 is on July 20-21, 2013; it is the 25th Annual running of the event and Zac.. will be there searching for the finish line for the third time. A very lucky man to have a film crew chronicling a journey so many of us struggle to put into words ourselves.. we wish you and your crew the best of luck. MM: SJ, thanks you very much for chatting with us! Looking forward to seeing you in Vermont very soon! BW: Thanks! We really appreciate you sharing our story with the community at large. SJ: Thanks again for your time guys. We’ll see you at Silver Hill Meadow before the race. I’m looking forward to it. In the meantime, we invite folks to help your production become a reality by donating to your Kickstarter page by CLICKING HERE And of course, check out the trailer for the film below.